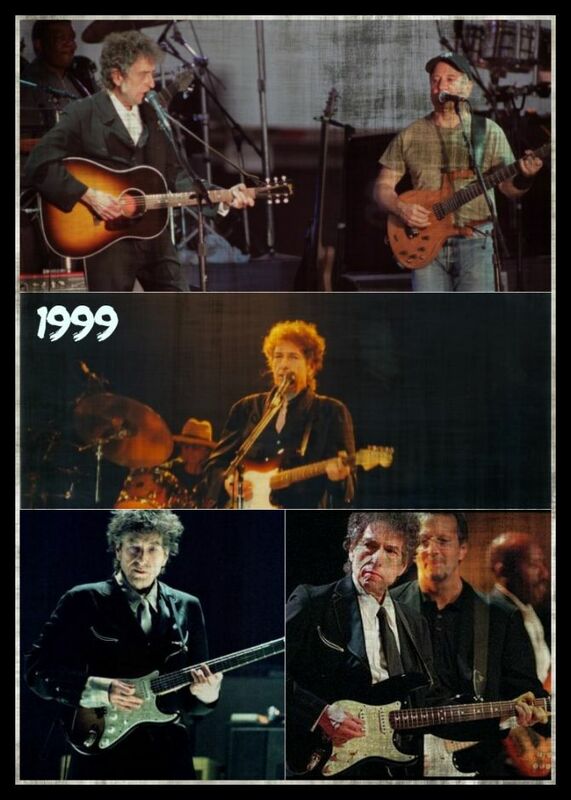 1999 was a great year for Bob Dylan’s “Never Ending Tour”. For all the splendours of earlier in the year , this last leg was the most consistently triumphant. 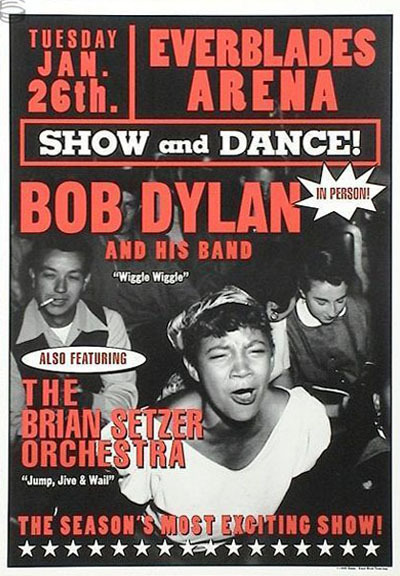 By the time Dylan brought the year’s touring to an end, with an extended set on November the 20th, he had played 121 shows – the most in a single year of his entire career. It had been a very good year, the best since 1995. 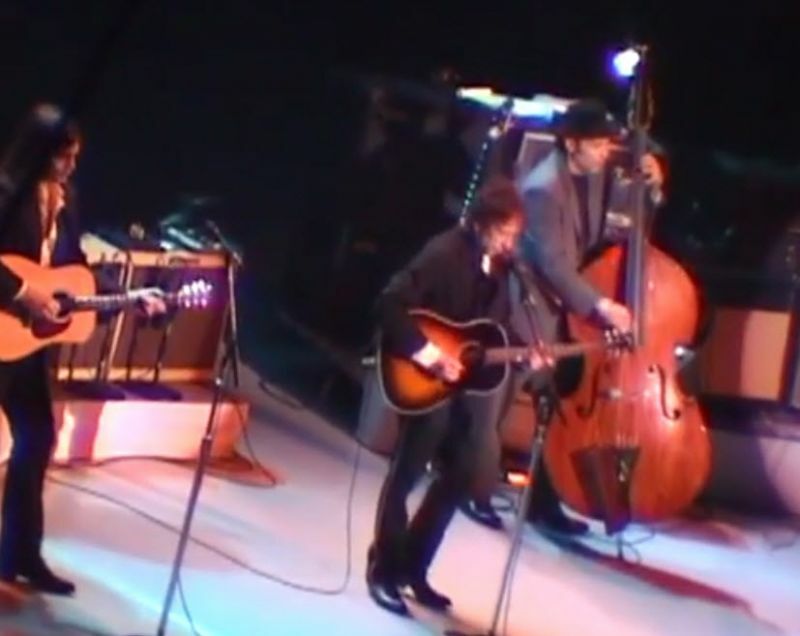 A lot of concerts from this tour is in circulation (both video & audio) and this concert is a great example from that last leg. Highlights include: One Too Many Mornings, This Wheel’s On Fire, Not Dark Yet & Not Fade Away. 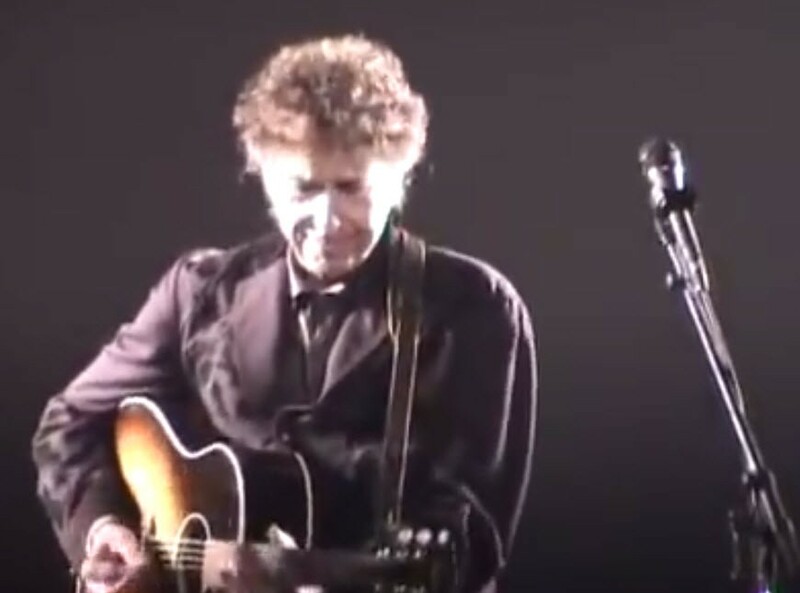 Onstage, Mr. Dylan — in a particularly smiling, playful mood — was able to meet Mr. Clapton on his level, playing a heated version of ”Crossroads.” But Mr. Clapton had trouble meeting Mr. Dylan on his. 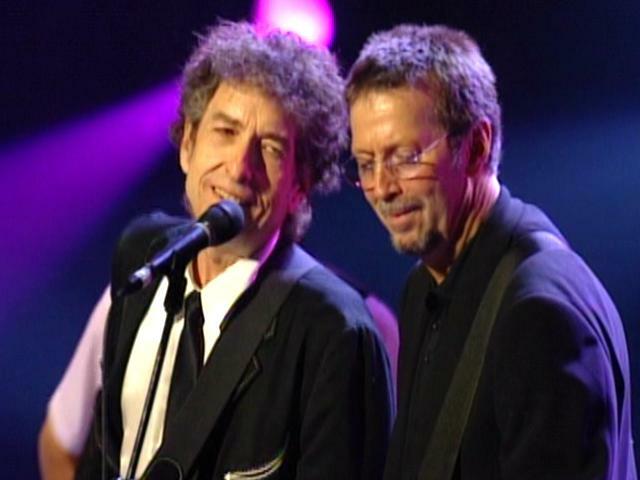 Mr. Clapton’s liquid blues lines couldn’t find an entry point into Mr. Dylan’s ”Don’t Think Twice, It’s All Right,” and when their iconic heads met at the microphone for ”Born in Time,” they seemed to be singing different words. As for the rest of Mr. Clapton’s band, at first the musicians had trouble doing much more than standing around slack-jawed as these two giants searched for common ground to stand on.